This tepee stomping ground at Lake Oak Meadows constructed by Madam Palooza is everyones glamping dream come true, truly encompassing everything we know about glam outdoor settings. The first scene, constructed with by ruffled drapery, refined prints, and a silver and gold accents was the perfect landscape with a touch of luxury. The second scene, riddled with vibrant colors, tribal blankets, and only the comfiest of printed pillows showcases the tasteful Parisian inspired picnic perfect for any couple. 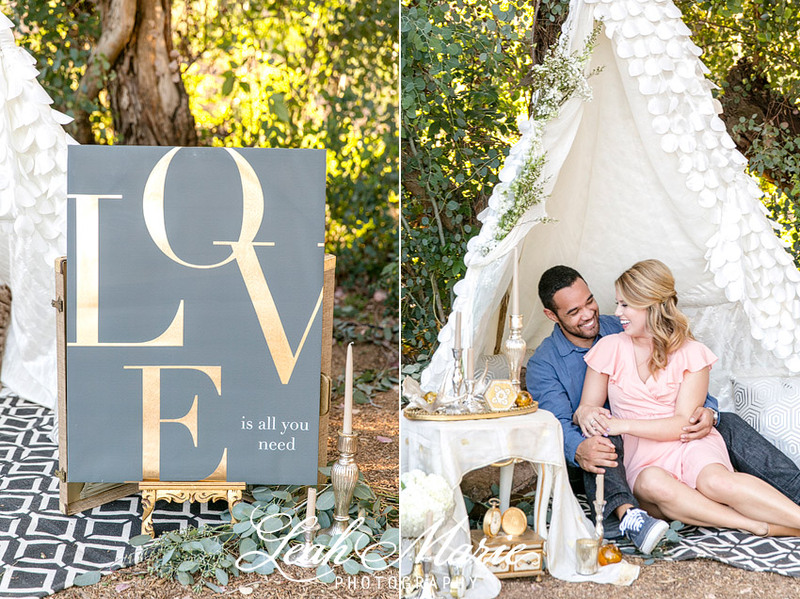 We’re sure everyone can agree patterned comfy pillows, colorful throws, and a tray full of tasty foods for an engagement session is the way to go. 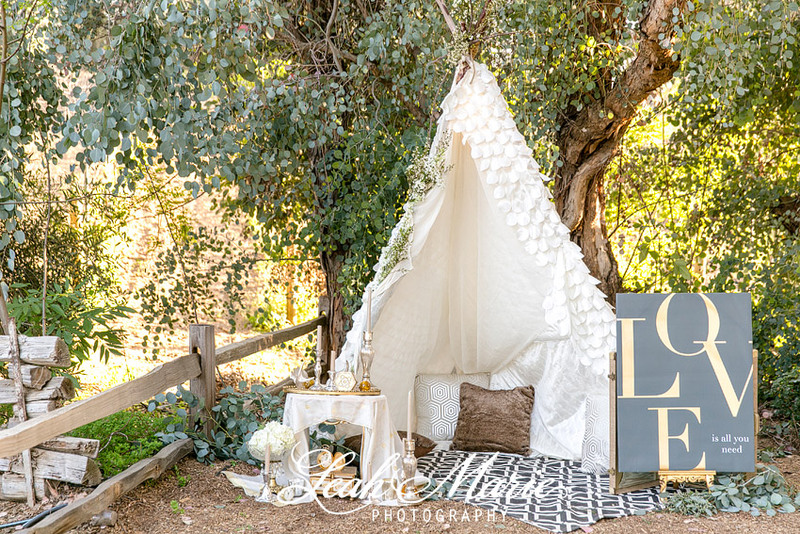 The only thing we can really say after shooting this is: tepee party anyone?